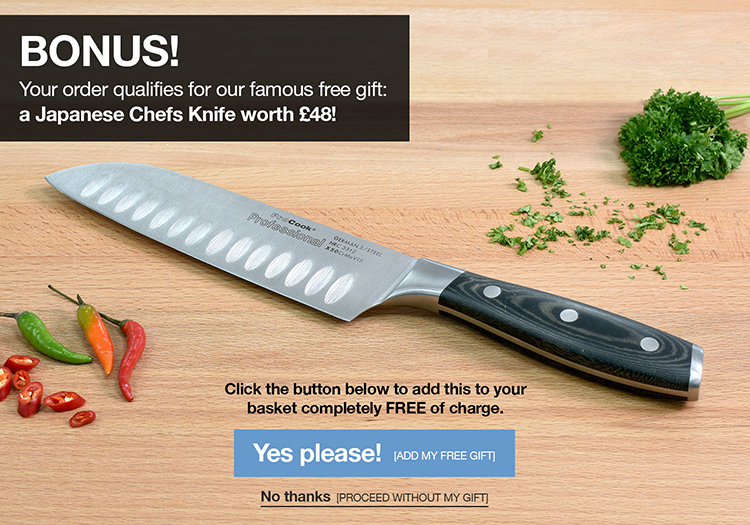 Excellent free gift, great knife. This stunning and resilient set of knives is guaranteed to add contemporary style to any kitchen. The Professional X50 8 piece set has all of the knives to get you started in the kitchen including an 9cm paring, 13cm utility, 15cm and 20cm chefs, 13cm and 18cm santoku, 23cm bread knife, & 25cm carving knife and a 3 slot wood and glass knife block. The set is completed with a contemporary and stylish block exclusively designed in house to perfectly complement the knives.